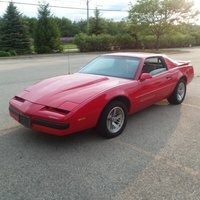 Start a new Pontiac Firebird question. 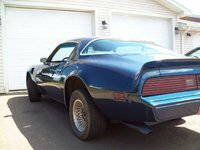 79 Trans Am 10th Anniversary 400 4spd Idling Like Crap Timing? 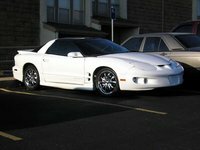 Can a 1991 Trans Am with 16' tires have 15" tires instead? 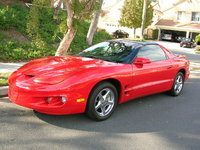 I have a 2000 firehawk TA 5.7, any idea of the horse power? 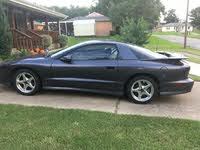 People always ask and I say around 400. 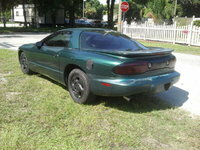 Am I living in a fantasy world? Let's face it. 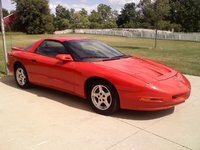 Not to say that women don't own this car, but the Pontiac Firebird is a guy's car, especially the Trans Am with the gaudy, yet strangely magnetic Screaming Chicken flattened on its hood. 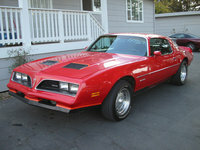 Clint had one, Smokey and the Bandit chased each other in them, and David Hasselhoff spoke to one weekly on Knight Rider. 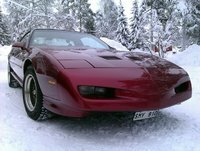 The Pontiac Firebird was one of the only original muscle cars that survived through the 1970s and actually achieved even more legendary status in the 1980s. 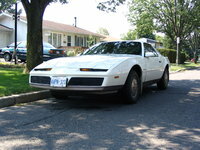 It was one of the longest surviving performance cars until its departure in 2002. 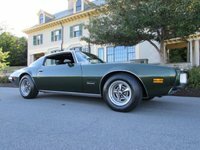 The Firebird started life as a pony car coupe and convertible, competing with the Mustangs, Camaros, and Corvettes of the 1960s, but never really achieving much popularity. 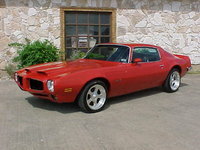 Sharing a platform with the Camaro throughout its life, and later even the same engines, the Firebird began to carve its niche with a distinctive front end and a wide array of V8 engines. 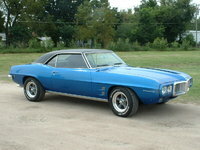 The culmination of these came in the early 1970s with the SD-455, a racing engine that hit 370-hp. 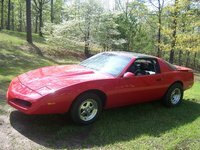 Appearing as it did smack dab in the middle of the energy crisis, the Firebird became the only true performance car left on the road for a while, until it too succumbed to government regulations that depowered the V8s to under 200-hp and eventually even a shocking 90-hp. 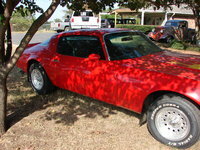 But the Firebird did not give up, though GM had several times threatened to can it. 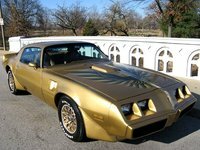 Thanks in big part to the success of the Smokey and the Bandit movies and persistently excellent sports handling and performance, sales increased among hypertestosterone-fueled males, and the 1980s saw a more aggressive redesign and the slow return of more horsepower. 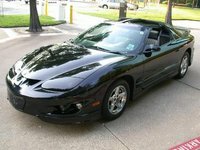 Gradually a 5.7-liter engine that brought the Firebird back up over 200-hp came with the GTA, followed by a tuned-port injection engine with greater torque power. 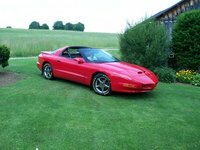 The 1990s brought back the convertible for the first time since 1969 and more engine power in the form of the newly designed LT1. 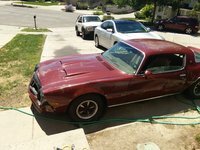 This engine returned some heft and grit to the street racer. 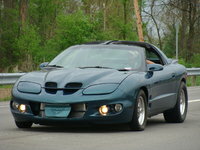 Later, a Street Legal Performance Firehawk and a WS6 package added a sportier suspension, parts, and engine. 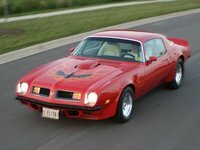 The Screaming Chicken spread its fiery wings for the last time in 2002 when, with little warning or fanfare, GM discontinued the Pontiac Firebird, celebrating with a 35th Anniversary edition and not much else. 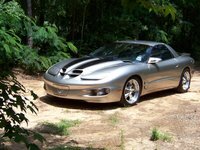 It seemed like such a quiet sendoff for a car that had such staying power, flash, iconic name recognition, and cross-generational impact.